The sky cries tears in Iceland. 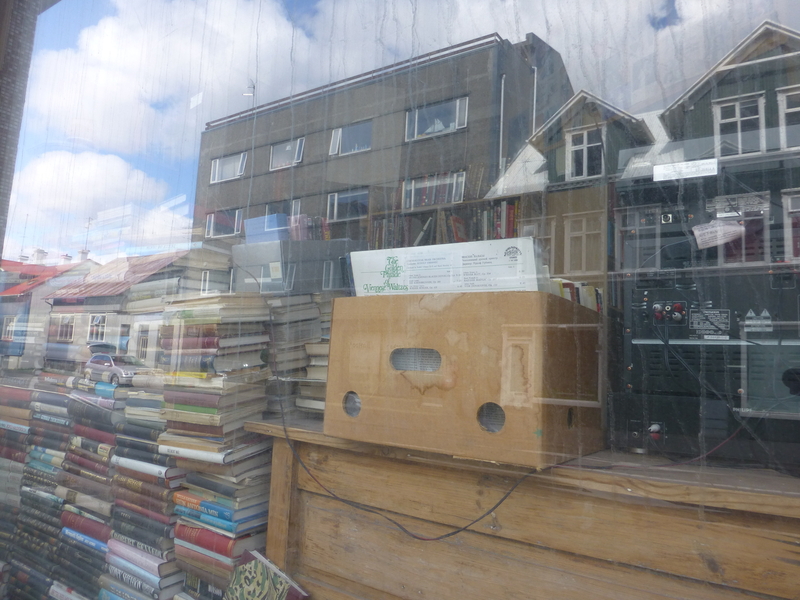 Viennese waltzes warping in a banana box in a window, old hi-fi junk, and all the books of the world wash up on the shore otherwise called Hverfisgata. Not much different than a knot of broken fishing nets and cast-off plastic knocking against the knees of kelp-eating sheep, really. This entry was posted in Architecture, Art, Nationalism, travel and tagged globalism, island culture, junk culture, Reykjavik, used bookstore on March 3, 2019 by Harold Rhenisch.